Opening Prayer: Join in prayer asking God to fill our hearts with confidence and trust in Him allowing us to fully know that He is our Shield and Defender and our salvation comes from Him alone. Memory Verse: Psalm 33: 20 Our soul waiteth for the Lord: he is our help and our shield. 1. In today's memory verse , Who is referred to as our help and shield ? 2. Are there any times where you know you need help ? 3. Where does the greatest form of help come from ? 4. Have you gone in prayer to the Lord asking for His help ? 5. Do you know what a shield is and what it is supposed to do ? 6. Can you think of ways in which God has protected you recently ? 8. Are there experiences that have tried your faith ? 9. Were you able to lean on God for strength ? 10. What does every child of God experience in this life ? Galatians 6: 2 Bear ye one another's burdens, and so fulfil the law of Christ. Can I enter into your rest?" Wicked hearts that have transgressed." Guard me from the snares each day. 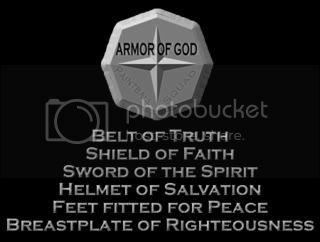 Shield of Glory help me stand. Please listen to the words I pray." Take me into your rest. " in this life through Jesus Christ and may our trust in God, His Word and His promises remain strong and continual throughout all of our lives .